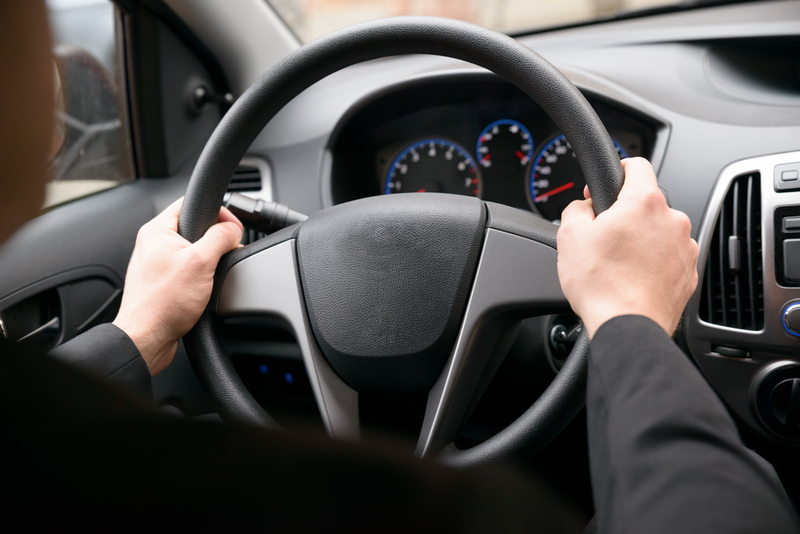 If you’re having issues steering your car – the wheel feels “jerky”, hard to turn, or “sticks”, there could be a wide variety of problems with your steering system. In this article, we’ll take a look at 5 of the most common steering issues, and discuss how you can recognize them. Let’s get started. Low power steering fluid is one of the most common issues that you’ll have as a driver. Your car will need its power steering fluid topped-up every once in a while, to ensure that the hydraulic power steering system continues to function smoothly. Signs of low power steering fluid include difficulty moving the wheel and steering, and a sluggish response when turning. “Whining” or squeaking when turning may also be present. Luckily for you, this is a simple DIY fix. Simply pick up some power steering fluid from your local auto parts store, locate your power steering fluid container using your owner’s manual, and check the fluid levels. If they’re low, simply top up the fluid, and you’re good to go! However, if you continue having steering issues, the problem may be deeper than a low fluid level. If you continually add more power steering fluid to your car, but it doesn’t seem to help, you may have a power steering fluid leak. Power steering fluid is not always the same color, but is typically either clear, red, or pink. Check underneath your car for any leaks. Chances are, if you have a power steering leak, the residue will collect beneath the front of your car. If you do find a leak, you need to take your car to a mechanic, because the leak could originate from a variety of different areas of your vehicle. Most modern cars use a “rack-and-pinion” steering system. Rack mounting bushings are attached to the steering wheel, and move side-to-side to absorb impacts from the suspension. If the steering rack begins to wear out, you may notice “jerking” of the wheel when going over bumps, inconsistent steering, or “clunking” sounds in the steering column. Clicking or popping noises may also be present. If you notice these issues, get your car inspected by a professional mechanic right away. You will likely need to replace the bushings, and have the steering rack mount repaired. Sometimes, the belt can be tightened up by a mechanic, but in most cases it must be replaced completely to ensure the proper functionality of your steering system. If your wheel is “wandering” or straying from a straight line while you drive, you could have issues with your suspension, such as bad strut bearings or tie rods. Wheel “looseness” is also a sign of suspension trouble, as is excessive tire wear, and a suspension that tends to sag and squeak when going across bumps and obstacles. If you notice these issues, bring your car in for an inspection right away. If your suspension fails or breaks, you could be in serious danger in an emergency situation – and the longer you ignore the problem, the more dangerous it will get. Need Your Steering Systems Inspected? Come Into Ride Time Today! Ride Time is the best place in Winnipeg to have your vehicle inspected. At our brand-new service centre, we offer expert inspections and repairs from certified mechanics. You can trust us to take care of your vehicle – whether it’s brand-new, or a well-loved used car. So don’t wait. Get the inspection you need to stay safe on the roads. Schedule servicing online now, and come to Ride Time today!